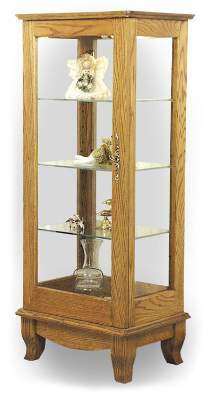 Measures 43"H x 18"W x 13"D. Hardware parts package includes non-mortise hinges, key plate and lock, shelf supports, and a cabinet light with bulb. The project plan, glass, wood, and wood finish are not included. Save with the #1719 Special which includes the plan and hardware kit.